MILLER INDUSTRIES + LYNCH TRUCK CENTER = MOST SOUGHT AFTER TOW TRUCKS, WRECKERS & CAR CARRIERS NATIONWIDE! When it comes to towing equipment, our customers expect nothing but the best. So do we! That’s why we’ve developed a strong partnership with Miller Industries. Because Miller Industries is THE world leader in towing & recovery equipment!When you buy your next car carrier, wrecker, heavy duty rotator, or any other recovery truck for that matter, you can count on our dedication to quality and the highest standards in customer satisfaction. If custom is what you have in mind for your rig, our experienced sales team will help you find the best Miller Industries body for your application down to every last detail! The trained professionals in our state-of-the-art facility will mount your masterpiece to an Isuzu, Ford, Chevy, GMC, International Harvester (IHC), Freightliner, Peterbilt or Kenworth brand name chassis of your choice. Add any custom modifications you require (or desire), and you’ll be ROCKING your new custom towing or recovery truck YOUR way! Along with an easy, hassle-free buying experience, we deliver exceptional value to our customers with first-rate service, and factory-warranted, brand name parts and accessories. We are staffed with 20 full time exceptional ASE certified techs, and we offer extended parts and service hours too! Century produces tow trucks and wreckers ranging from 8-ton light duty models to 75-ton heavy duty tow trucks for sale, from versatile 7035 to integrated 9055 heavy duty wreckers to 1040S & 1060S Century rotator tow trucks for sale. Miller Industry’s product line also includes a range of Century rollbacks for sale, in lengths from 20 to 30 feet. Century wreckers & towing equipment are designed to be fast, easy and safe to operate, and are ideally suited for high-volume towing and recovery work. Lynch Truck Center stocks a wide variety of new and used Century towing equipment, along with fully equipped recovery tow trucks and Century wreckers for sale, built for rugged durability, reliability, and exceptional performance. Century tow trucks & wreckers ensure an easy one-man hauling, towing and recovery operation -all in one package. In addition, an array of optional equipment for Century wreckers, as well as other Century tow truck equipment, is available through Lynch Truck Center’s Parts and Service Department, conveniently located at the intersection of Highways 20 and 36 in Waterford, WI. Whether you need a Century 3212 medium duty wrecker, Century 1130 rotator tow truck for sale or innovative Century RXP stabilizers for heavier loads and difficult recoveries – Lynch Truck Center’s selection of Century wreckers & tow truck equipment for sale is sure to meet all your specific towing and recovery needs. Call or stop by at one of our locations. 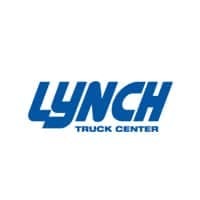 We are ready to serve you from Lynch Truck Center in Waterford, WI or Lynch Truck Center near Chicago, IL. And don’t forget, we deliver nationwide! Challenger has a long-standing reputation for providing rugged tow truck equipment that can withstand the toughest towing and hauling jobs imaginable. With capacities ranging from 8 to 75 tons, Challenger recovery tow trucks and wreckers feature unique towing and recovery options such as the integrated underlift for difficult-to-tow vehicles, an independent wheel lift for quick damage-free second car towing, and hydraulic auto load systems with extended reach for easy vision and hookup. From towing and transporting cars to serious hauling, Challenger offers recovery wreckers and tow truck equipment that can handle the toughest jobs. Holmes truck equipment includes wreckers with 8 to 16-ton capacities, a 16-ton rotator and Holmes detachable towing unit (DTU) for sale, designed to fully stand up to the everyday demands placed upon it. Holmes 16 Ton Rotator tow truck for sale, the most versatile rotator tow truck unit from the oldest and most trusted tow truck equipment name in the industry, easily handles a wide range of vehicles from autos through trucks. Holmes DTU (detachable towing unit) offers proven design and technology to turn your tow truck or wrecker to multifunctional recovery vehicle, capable of handling towing and pulling trailers. Holmes truck equipment, tow units, and wreckers provide years of tough, dependable towing and hauling service. Lynch Truck Center’s towing division solely stocks Miller’s unique towing equipment & tow truck units, parts and accessories in the service department and our light, medium and heavy-duty inventory of wreckers, tow trucks & rollbacks include Miller’s name brands such as Century, Challenger, Chevron, Holmes and Vulcan mounted to Isuzu, Ford, Chevy, GMC, IHC, Freightliner, Peterbilt, and Kenworth brand name chassis. To learn more about Miller Industries, please visit their website. Pictured here are Vulcan, Century and Chevron 10-series car carriers by Miller Industries. Vulcan product line includes a range of tow trucks & wreckers for sale, from 8-ton light duty to 50-ton heavy duty Vulcan models. Vulcan wreckers & rollback tow trucks for sale owe its popularity to top quality composite body material, practical design, and incredible performance. Vulcan steel & aluminum recovery wreckers and towing equipment ensure high quality, durability and reliability, coupled with safe and easy towing and recovery operation. In addition to conventional rollback tow trucks, we offer specialty Vulcan LCG rollback wreckers for sale, specifically designed to accommodate transport of taller loads. 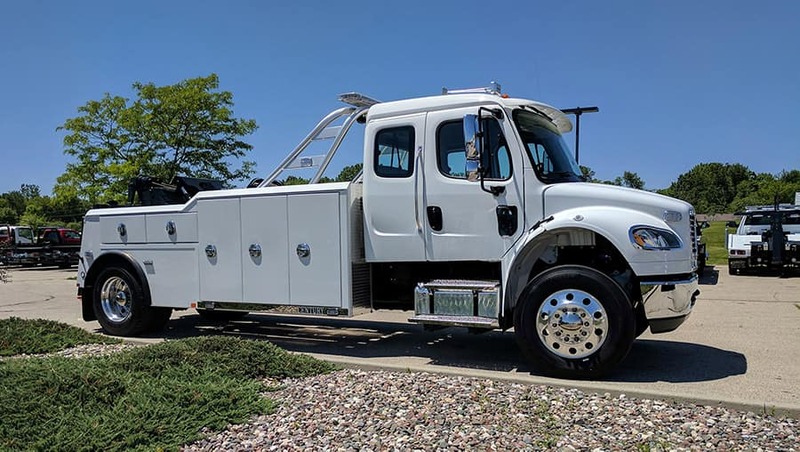 See our complete line of Vulcan tow truck equipment, brought to you by one of the nation’s top truck body manufacturers, in addition to a wide selection of Miller’s unique towing equipment and units for sale.